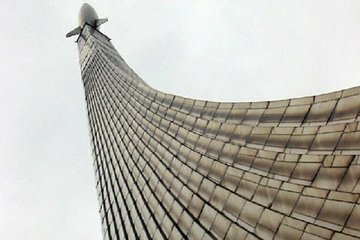 Delve into the incredible world of Russian space exploration with a tour of Moscow's Memorial Museum of Cosmonautics and embark on an informative and enlightening walk through the country's unique role beyond earth's atmosphere. The museum's numerous exhibits—many which are interactive—include a flight control center, Soviet-era poster art, rocket propulsion units and a space capsule used by Yuri Gagarin, the first human ever in space. The building itself is just as impressive, with a sleek, rocket-like tower erected in 1964 to celebrate the Soviet Union's ongoing space odyssey. I totally recommend this trip. I was never big on Space Travel but I have a new found interest. The guide was knowledgeable and it is a sight to be seen.